Maybe it’s our “more is more” culture talking, but we believe there are certain things that are always better together. So we’ve scoured the state for our favorite power pairings — quintessential Colorado activities that are best enjoyed hand in hand: bikes and craft breweries, hikes and hot springs and wildflowers and wine. Check out these mini itineraries for our matches made in heaven. After a brisk hike, there are few sensations as stellar as an outdoor hot-springs soak. And lucky for all of us, Colorado’s geography seems to share this sentiment. There are natural hot springs all over the state, with trails to suit every kind of hiker. If you’re more chill than thrill, make the Mount Princeton Hot Springs Resort your home base — then head for the Narrow Gauge Trail. Just a few miles’ drive from the resort, this easy 7.2-mile out-and-back trail runs along the north side of Chalk Creek and climbs slowly through the forest. Back at the resort, you’ll have plenty of choices; Mount Princeton offers large exercise and relaxation pools as well as intimate Japanese-style cascading pools and even a 400-foot water slide. Near the quaint southern hamlet of Pagosa Springs, you’ll find one of Colorado’s most rustic natural soaks: Piedra River Hot Springs. Thanks to the remote, ultra-private setting, this is a picnic-must, clothing-maybe kind of place. So, after you pack up your lunch in town, head southwest on US 160 to First Fork Road — then continue to Sheep Creek Trailhead. It’s a moderate three-mile round-trip hike to the springs, which are primitive rock pools woven into the Piedra River. Locals’ tip: You need not be afraid to dip in the buff; only the marmots and mule deer are watching. Coloradans are passionate about their bikes and their brews — and whether you’re a seasoned centurion or a single-speed type, we’ve got plenty of ways to gear up for beer. If mellow, guided tours are how you roll, try Fort Collins' Beer & Bike Tours, a locally owned and operated business that will help you get an insider’s perspective on this lively college town’s best watering holes. Boulder looks even better from the back of a bike — and thanks to the city’s B-Cycle program, you won’t even need your own wheels. It costs just $8 to score one of these sturdy townie-style bikes for 24 hours, and you can rent or return at 30-plus stations around town. 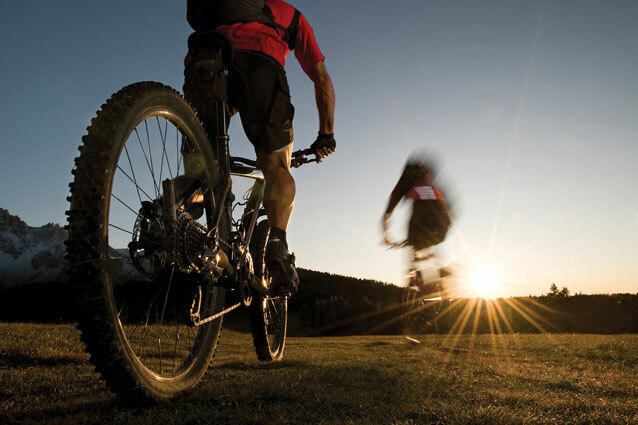 Experienced cyclists looking for a breathtaking ride should start with a carbo-load at Carbondale’s Roaring Fork Brewery — right on the Rio Grande Trail — then head north. As the pretty, paved trail weaves its way along the river, you can sample local brews at Capitol Creek Brewery in Basalt, or press on to Snowmass Village for a visit to the New Belgium Ranger Station. From the village, pick up a leisurely side trail to the legendary Woody Creek Tavern, longtime haunt of Hunter S. Thompson, or keep heading north to the Aspen Brewing Company. Not up for a 30-mile incline? Take the bus to the top, then coast down the gorgeous valley. As it turns out, the conditions that produce Colorado’s wine grapes are also ideal for our most popular uncultivated crop: wildflowers. Bring them together for a romantic, intoxicating combo. Though it’s arguably most famous for its perfect peaches, sleepy Palisade is also proud to be in the heart of wine country — and the host of the Colorado Lavender Festival (TBA, 2019). This fragrant weekend fête blends tours of local gardens and lavender farms with hands-on learning experiences led by local artisans and lavender-inspired meals. Festivalgoers can stay at the Wine Country Inn, which provides easy access to the area’s abundant selection of wineries … and of course, tasting rooms. Colorado’s tranquil North Fork Valley is also a haven for both wildflowers and wine, with the added benefit of being a bit off the beaten path. The lasso-shaped West Elk Loop Scenic and Historic Byway covers an astounding 205 miles, much of it peppered with vibrant, flower-filled meadows and cool historic sites. But wine lovers will be most interested in the portion that links Paonia, Hotchkiss and Cedaredge, now known as the West Elks AVA. This pristine, high-elevation valley is home to a dozen independent wineries producing quality riesling, gewurztraminer, pinot gris and chardonnay varietals. Not all have dedicated tasting rooms, but most will arrange a private tour if you call ahead. 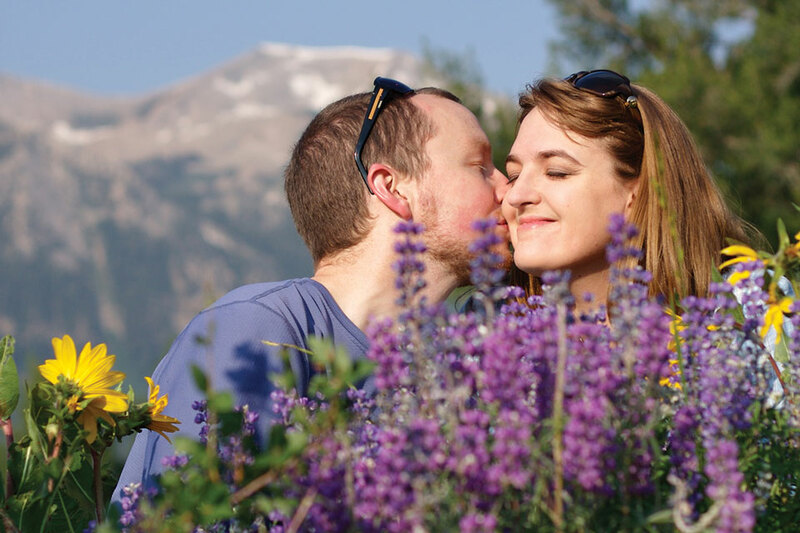 Learn more about Colorado wildflower hikes and wine trails and tasting rooms.